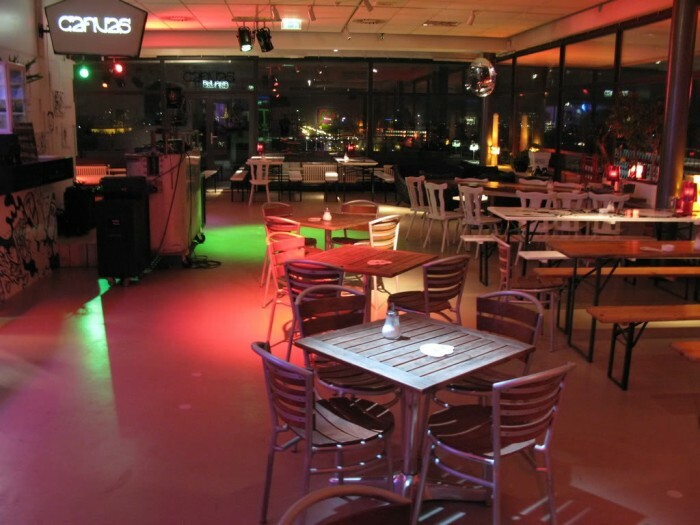 This multifunctional venue is situated in the Eastern part of Amsterdam. Just across the street of Trouw. The building was also used by a Dutch newspaper, the Volkskrant. On the 7th floor a very nice café restaurant/ club canvas was created. 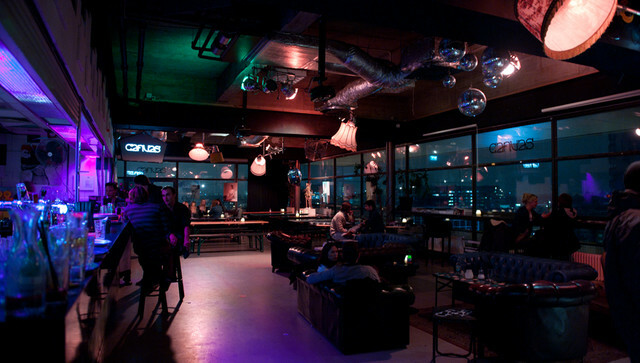 I was here for a club night several times. The rest of the building is empty, this gives a real exiting feeling when entering the building. 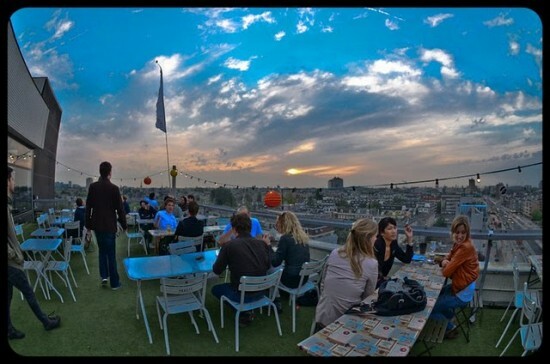 You have to take the elevator to the seventh floor, here you have a wonderful view over the eastern part of Amsterdam. In this club the music is okay but not very special. No trendy DJ’s but new talents and a resident DJ. The most unique of Canvas is the fact that it is still a bit underground and the amazing view.